Swansea is the commercial and administrative centre for South West Wales. A coastal city, Swansea benefits from good access via Junctions 42 to 47 of the M4 motorway and a main rail link to London. 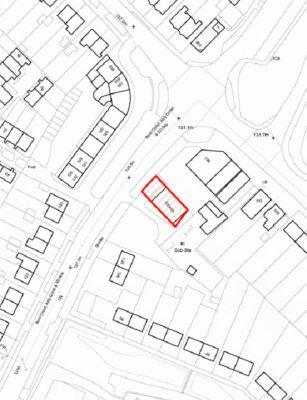 Within Swansea the property is located on Ravehill Road within the Ravenhill area of Swansea and situated just 5 km (3 miles) from the City Centre. The surrounding area is predominantly residential with a number of commercial occupiers including Ladbrokes and Co-op Pharmacy. The property a ground floor retail unit measuring approximately 155 sq m (1,677 sq ft), which has recently been internally branded, and shop fit by the existing tenant. The property also comprises ancillary storage to the rear of the ground floor of approximately 59 sq m (643 sq ft). We understand mains Electricity, Water and Drainage are connected. We advise that the premises has a rateable value of £11,250. Interested parties are encouraged to discuss the business rates payable with the local authority. Our clients leasehold interest is available To Let by way of a new lease, the terms of which are negotiable. We advise that the rent is available on application however incentives are available.